PIN3 SET Set pin /TTL level@3.3V，high level or suspending is normal working status, while low level is sleeping mode. PIN6 RESET Module reset signal /TTL level@3.3V，low reset. In this section, we'll demonstrate two examples about how to use this sensor with different Mcirocontrollers. This code uses Leonardo HardwareSerial1 as communication port. @n This example is to detect formaldehyde, PM2.5, temperature and humidity in the environment. 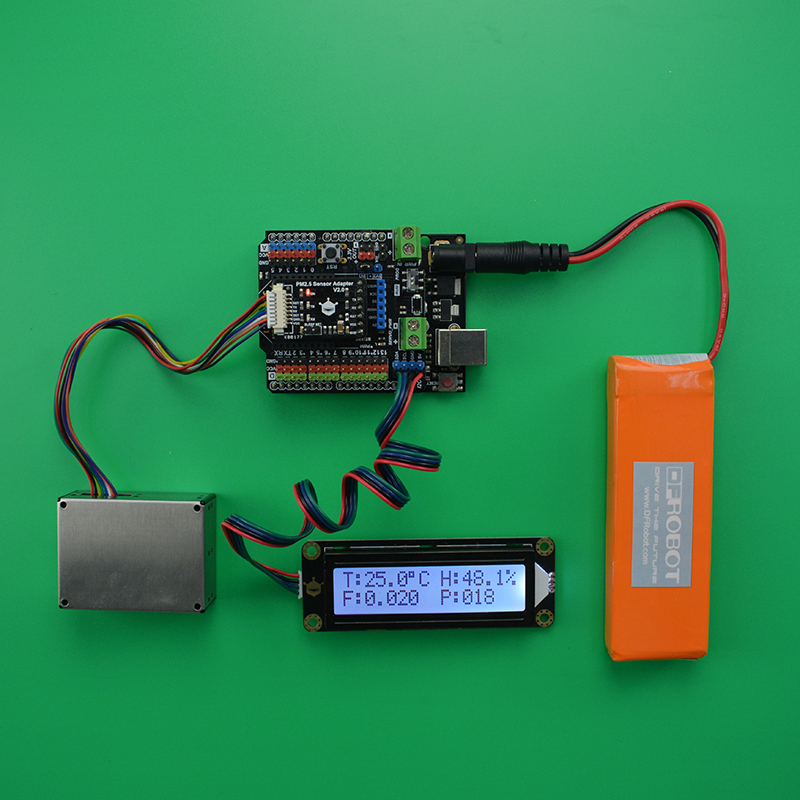 Please download the LCD library: DFRobot RGB LCD. How to install Libraries in Arduino IDE? 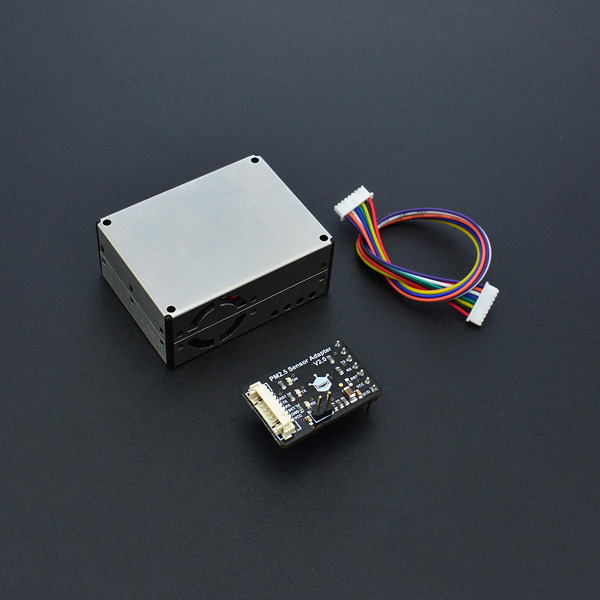 Get Air Quality Monitor (PM 2.5, Formaldehyde, Temperature & Humidity Sensor) from DFRobot Store or DFRobot Distributor.